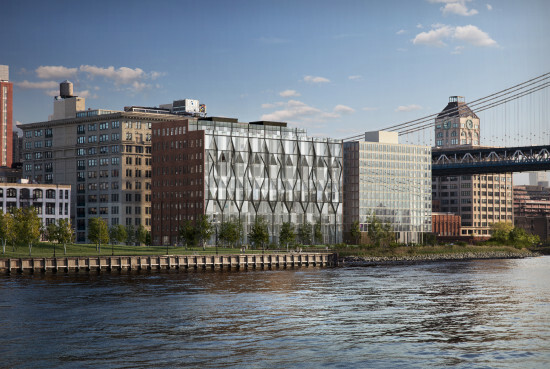 Real estate developer Jared Kushner, a senior advisor to President Donald Trump, has filed permits for a Morris Adjmi–designed tower in DUMBO, Brooklyn. The 21-story residential high rise is backed by Kushner's development firm, Kushner Companies, as well as CIM Group and LIVWRK. The building is planned for 85 Jay Street. Rising to 250 feet, the 874,149-square-foot development will offer 737 apartments, while allocating just over 60,000 square feet for commercial purposes. According to The Real Deal, the developers bought the $345 million,135,000-square-foot plot from Jehovah's Witnesses in December 2016. 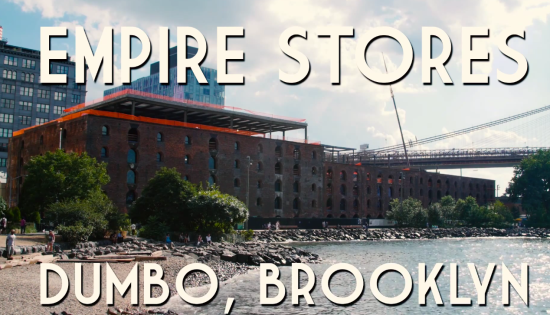 Those tracking Brooklyn development will know that the same team also purchased the religious organization's Watchtower offices that same year, shelling out $340 million for the DUMBO property. New York–based Morris Adjmi has worked with Kushner in the past. 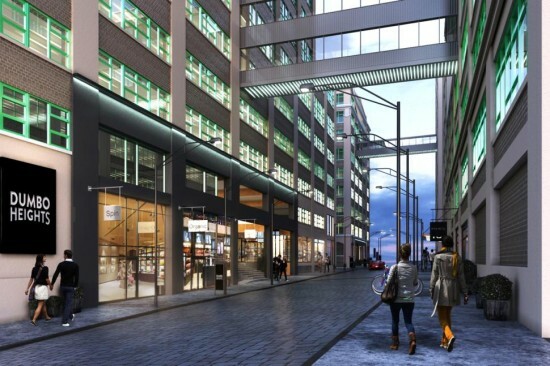 Adjmi designed 30 Journal Square complex in Jersey City for Kushner Companies this year, a project that will be Adjmi's largest in the New York metro area. Another one of Kushner's properties in the vicinity, however, is not fairing quite so well. One Journal Square, a mixed-used project designed by Woods Bagot is looking for funding via the controversial EB-5 investor visa program. Kushner reportedly looked to Chinese investors to plug the gap left by prospective tenants, WeWork, who took several million dollars of investment and tax breaks with them on their departure. Despite the funding setback, One Journal Square is still on course to start construction early next year. Traverse A.I.R. Gallery Brooklyn, New York Through March 2, 2014 Traverse is an exhibition of new works by Melissa Murray and Erica Stoller at A.I.R Gallery in Brooklyn's DUMBO neighborhood. Murray’s work focuses on pausing her daily life to examine personalized images that are swiftly tucked away in her subconscious. Stoller makes wall related sculptures that relate to the plane of the wall and garners meaning from the surrounding area. Murray and Stoller frequently exhibit together. The biggest shared element in both artist’s works—the line—represents aggression and physical restraint. The environments created in the artists' work relate and transcend their varied media. Stoller’s newest works mark her transition from two to three dimensional works. Stoller’s compositions in Traverse are made from converting unconventional materials including foam insulation, PVC conduit, plastic fencing, and swimming noodles into visual art. 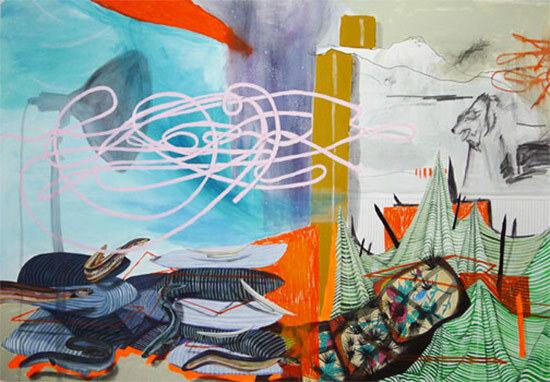 Murray creates large two dimensional works that strive to freeze an active moment of thought. She uses a stream of consciousness process to present an honest work where each piece is collection of coded memories. The works in this exhibition contrast each other to create a thoughtful conversation on the line. This exhibition is accompanied by a soundscape of ambient noise created by Impala Static. In recent years, Brooklyn's waterfront has morphed into a breeding ground for start-ups, tech agencies, and boutique manufacturing. 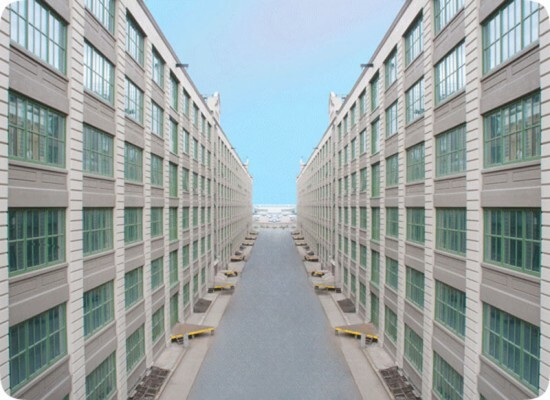 Now the massive Industry City complex in Sunset Park could emerge as the next creative hub in the borough joining other booming neighborhoods to the north such as DUMBO, the Navy Yard, and Williamsburg. 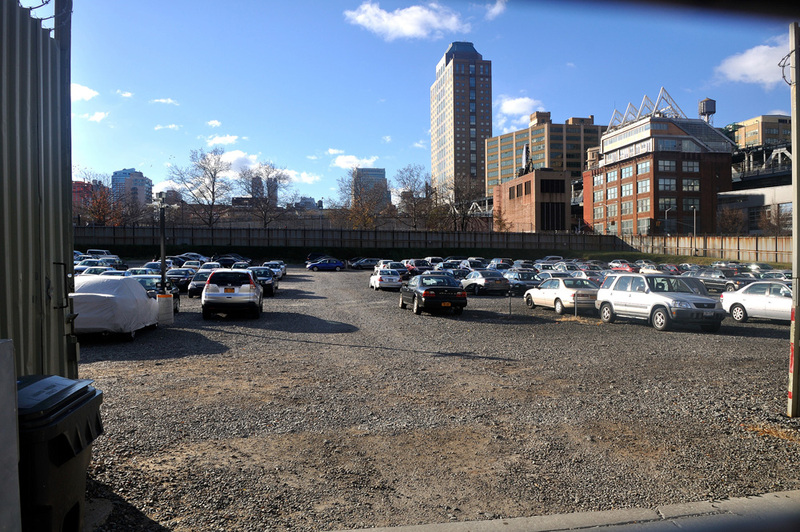 Crain's reported that Jamestown Properties, a real estate management and investment company, which owns Chelsea Market and the Milk Studios Building in Manhattan, is teaming up with Angelo Gordon and Belvedere Capital to purchase the sprawling 6.5 million-square-foot Industry City site. 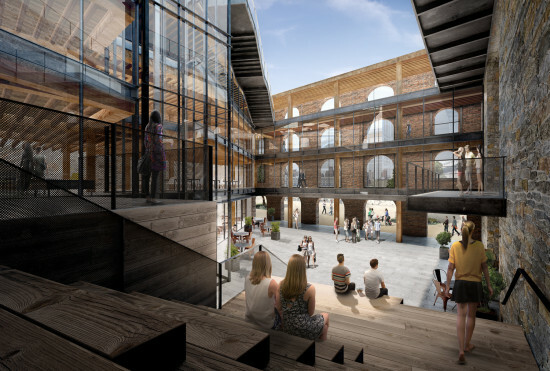 The developers hope to turn the 17 buildings on the property into a mix of office, studio, and warehouse space to accommodate a variety of uses including local manufacturing, media, and film and television. A 50,000-square-foot space in Industry City is already home to Makerbot, the company that manufactures 3-D printers. 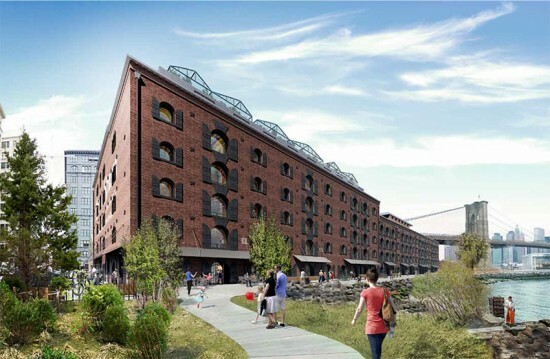 Jamestown has hired Andrew Kimball, who recently stepped down from his post as CEO and President of the Navy Yard, to run the new Industry City complex when it is complete. 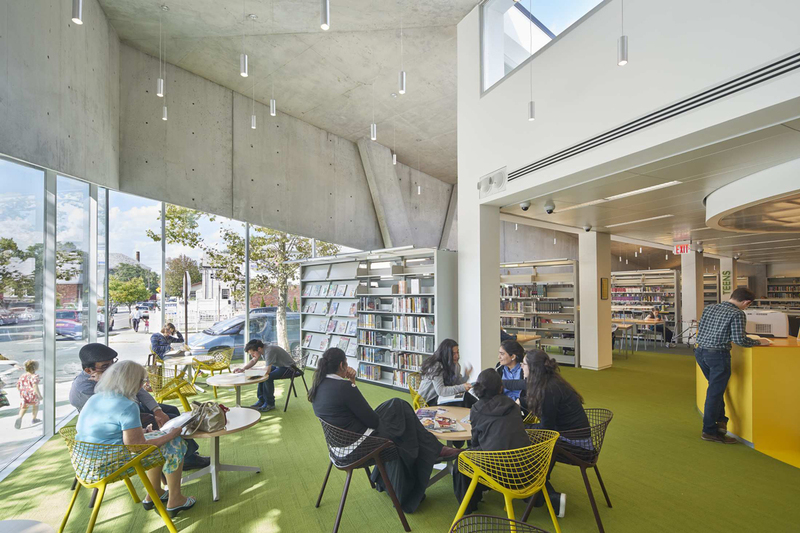 Kimball has been instrumental in reviving the 300-acre, city owned shipyard into a flexible workspace for for urban manufacturing, media, and the arts. 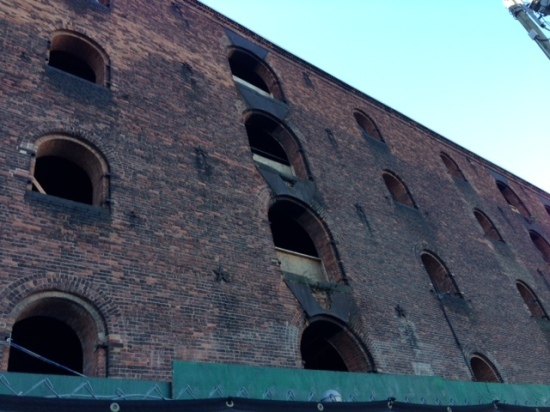 Several of the buildings were damaged from Hurricane Sandy and will require substantial repairs. Michael Philips, Chief Operating Officer of Jamestown, said that they might need to spend hundreds of millions to rehabilitate the buildings on the property. Another residential high-rise will soon join Brooklyn’s rapidly changing skyline. 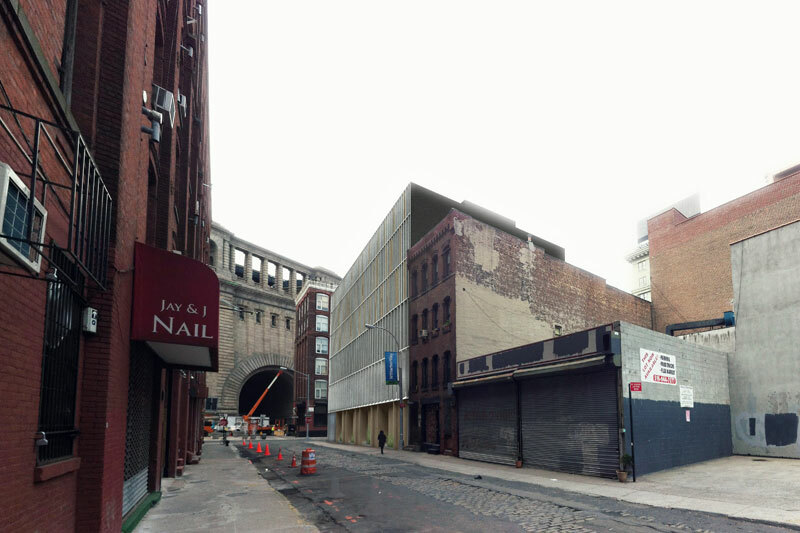 In response to Brooklyn Bridge Park’s Request for Proposals in December, nearly a dozen teams submitted designs for the vacant John Street Development Site at the foot of the Manhattan Bridge in DUMBO. 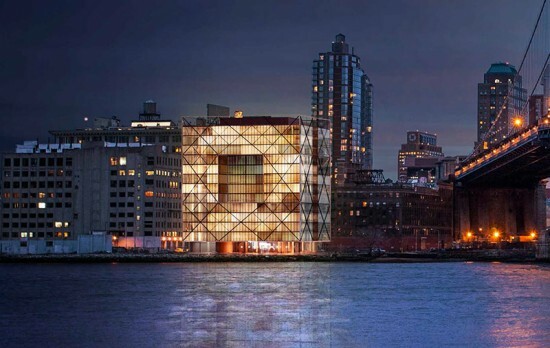 Now BBP has released renderings from the eleven contenders, showing a wide range or proposals. The vacant 96,000-square-foot parcel, located at the corner of Pearl and John Streets, can accommodate up to 130 residential units, 101,000-sq-ft of residential space, and a whopping 110 parking spaces. The BBP is hoping that this new development will serve to create a more active and integrated northern entrance to the park, and perhaps more importantly, produce revenue for the hefty maintenance costs of the park. The BBP has also called for LEED certification and a “high-quality, visually appealing residential development.” The group declined AN's request to name architects involved with each proposal, so for now, all we have are the renderings. Hang on tight, the winning proposal will be announced this summer. In the meantime, weigh in on your favorite in the comments below.